By 1870, Theodor and Anna have five children: Elizabeth (Lizzie), Henry, Mary, Bernard (Barney), and Herman. They live in Butler Township in Mercer County. 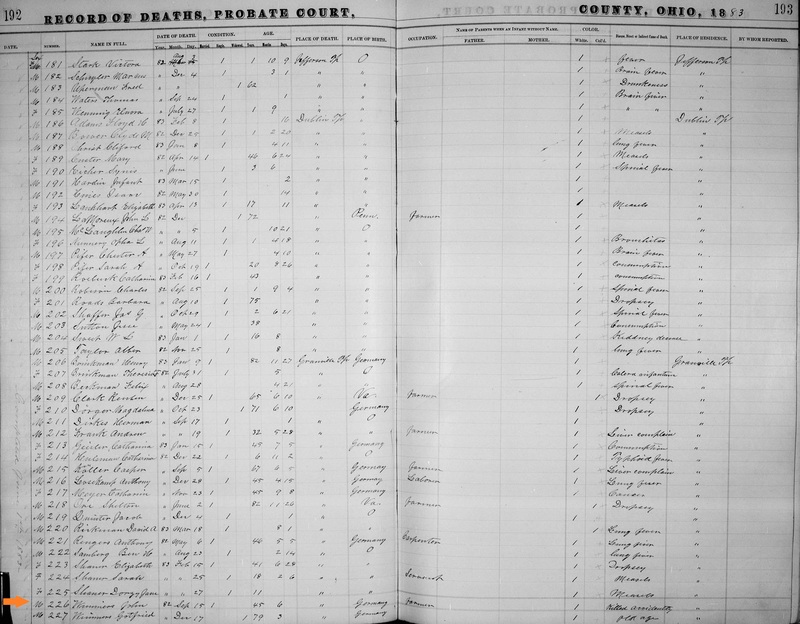 Because Theodor is a farmer, I also tried to find him in the 1870 U.S. Agriculture Census, but, unfortunately, individual farms are not listed for Mercer County - just a summary for each township. So, I don't really have any more information on what was produced on the farm. The 'value of real estate' listed on this form is only $200. Compared with some of the other real estate values for farmers in this township, it appears as if the Tumbusch farm was likely quite small. Unfortunately, Theodor would not live to see 1871. He passed away on December 10, 1870 at the age of 36. I have not been able to find his death record, but I imagine the death was a sudden one. His will is not located in the microfilmed probate records of Mercer County, and, in fact, the index states that no papers have been located for the probate file number. In the end, Anna was left to run the farm alone with five young children to care for. This is one of those times in which I had more information about a person and family. Anna never remarried. How did she run a farm, especially in the years immediately following Theodor's death? I'm sure she had help from her church and community, but there is no doubt that her children must have had to 'grow up' quickly and help with the chores and farming. 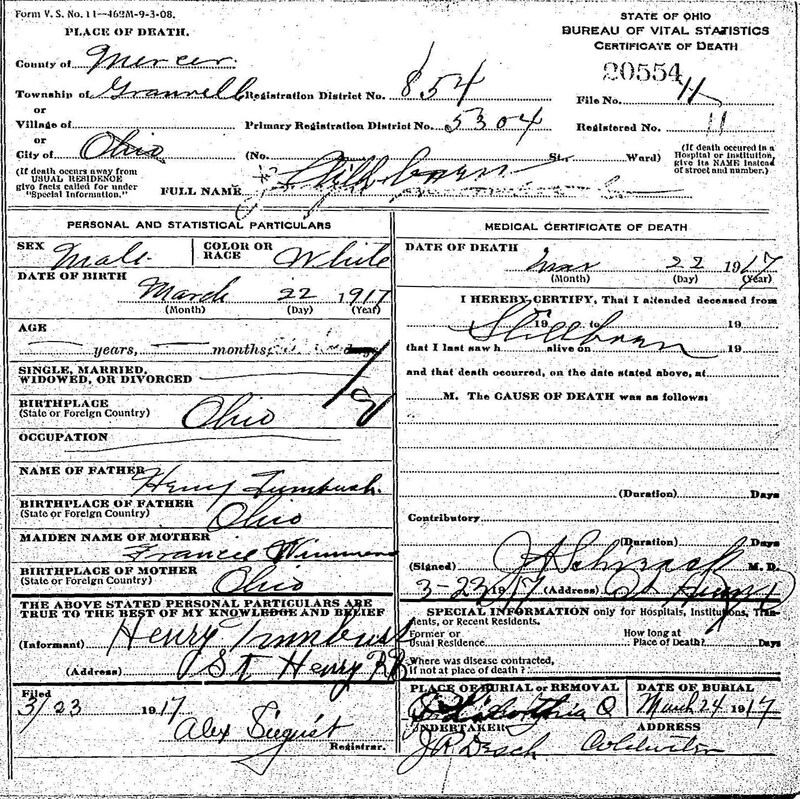 In the 1880 census, she is listed as head of household living with her four children, Henry, Mary, Bernard, and Herman. (I am unsure as to whether Elizabeth had died or simply got married; she would have been about 18 in 1880, so it's possible.) The family is also no longer living in Butler Township, but have instead relocated to Marion Township. Next to Bernard and Herman's name, who are ages 12 and 10 respectively, there is a check for 'Attended school within the census year.' Being a widow with no other live-in farmhands, Anna could have very easily justified keeping her two youngest sons home from school at this age. But she didn't, and I think it's admirable that she allowed them to get an education, especially when it may have made her life a bit harder. 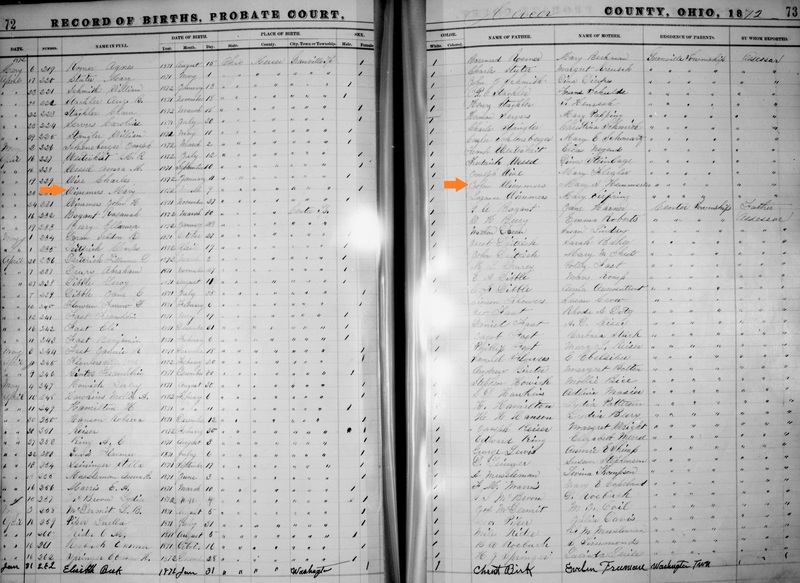 Fortunately, I WAS able to find Anna and her farm in the 1880 U.S. Agriculture Census. As suspected, they have a very small 30-acre farm with only a few cows and a handful of pigs. It was probably very much just a subsistence farm and the family was probably quite poor.